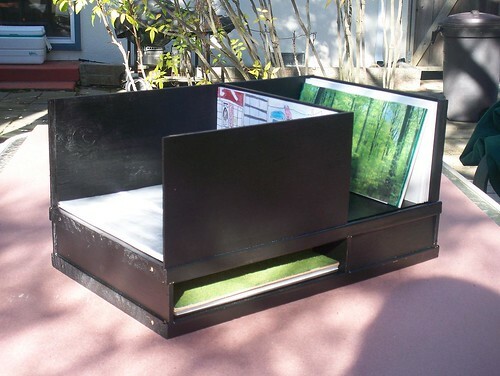 This ‘show box’ or portable theater is Devon’s original concept and design. It features storage for backdrops and floor panels that can be inserted to create unique worlds. This entry was posted by Janet Lawson, MFT on Sunday, May 31st, 2009 at 10:08 pm	and is filed under Student Projects. You can follow any responses to this entry through the RSS 2.0 feed. Both comments and pings are currently closed.